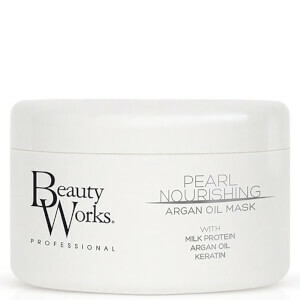 Experience deep nourishment with the Beauty Works Whipped Mousse Mask Leave In Conditioner; a non-rinse formula that conditions and restructures hair to reveal enviable locks. 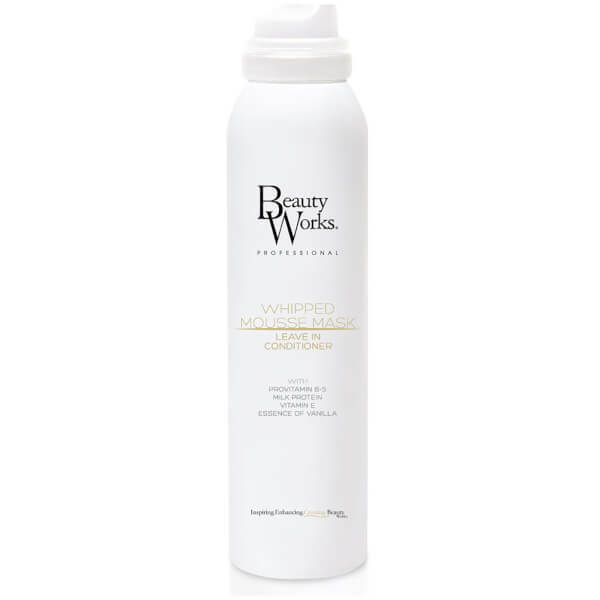 Easy-to-use, the leave-in conditioner boasts a whipped mousse formula, which effortlessly glides through locks and doesn’t require rinsing. The treatment is enriched with Provitamin B-5, Milk Protein and Vitamin E, which work in synergy to provide intense conditioning for hair. This leaves locks touchably soft and ultra-manageable. 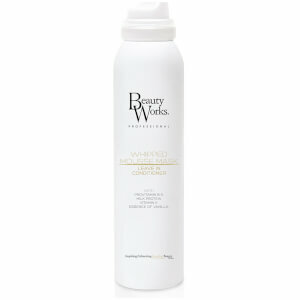 Finished with a sweet yet subtle vanilla scent, hair is nourished and pampered, without being weighed down. Shake well before use. Massage directly onto the hair. Use a comb to apply, moving from the roots through the lengths. Do not rinse. Aqua [Water], Propane, Butane, Isobutane, Myristyl Aclcohol, Cetrimonium Chloride, Phenoxyethanol, Parfum [Fragrance], Amodimethicone, Caramel, Ethylhexylglycerin, Trideceth-10, Citric Acid, Tocopheryl Acetate, Butylene Glycol, Glyceryl Oleate, Panthenol, Propylene Glycol, CI 47005 [Yellow 10], Helianthus Annuus (Sunflower) Seed Extract, PEG-5 Cocomonium Methosulfate, BHT, Hexylene Glycol, BHA, Sodium Glutamate, Hydrolyzed Milk Protein, Hydroxypropyltrimonium Hydrolysed Casein, Sodium Cocoyl Glutamate, Hydroxypropyl Guar Hydroxypropyltrimonium Chloride, Ascorbyl Palmitate.